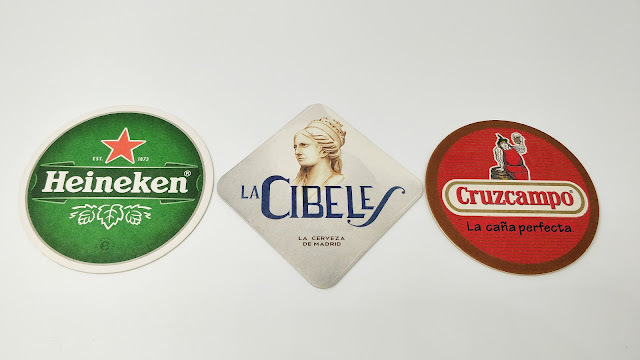 They know it in Heineken, who despite being aware that the green bottle is potentially bad for a minimally prolonged conservation of its product do not give up their flagship colour. I remember their global brewmaster, Willem van Waesberghe, defending this fact at a conference in Amsterdam, not without some resignation. 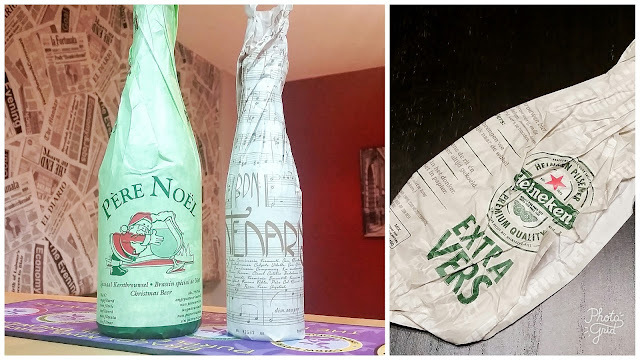 But when they released Heineken Extra Vers, a non-pasteurised version of the regular Heineken -like the Cruzcampo Fresca that came out in the Spanish market-, they introduced the wrapping paper to avoid the deteriorating effect that light has, and that we know quite well from other bottled beers which are not opaque enough. But the ones who seem to use this technique of packaging the most are certain classic Belgian breweries. In this case, of course, they mostly want to give their product a smart and exclusive look. We cannot deny that when you take out a bottle wrapped in paper it makes an impression, as if you were about to drink the sacred elixir of monks who live in isolation and walk barefoot, and who also devote 18 hours a day to contemplation. Then, sometimes, you find absolutely absurd beers. I have not known to date any collector of these packaging papers... or maybe yes, in some way, since I must recognise, not without some embarassment, that I keep the few wrapping that cross my path -as evidenced by the photo above- .